“Many of the people who make our clothes face exploitation, abuse and unsafe conditions on a daily basis. It’s a human rights issue. Through our installation at Amnesty International’s HQ, we aim to draw attention to the urgency of this issue.” ? where Brothers We Stand’s t-shirts are made. 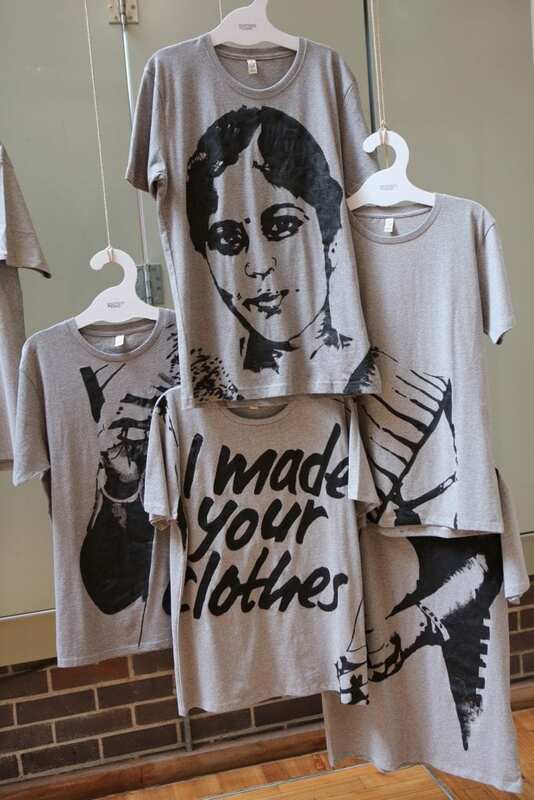 The installation aims to make clear the reality that behind every garment is the person, usually a women, who made it. 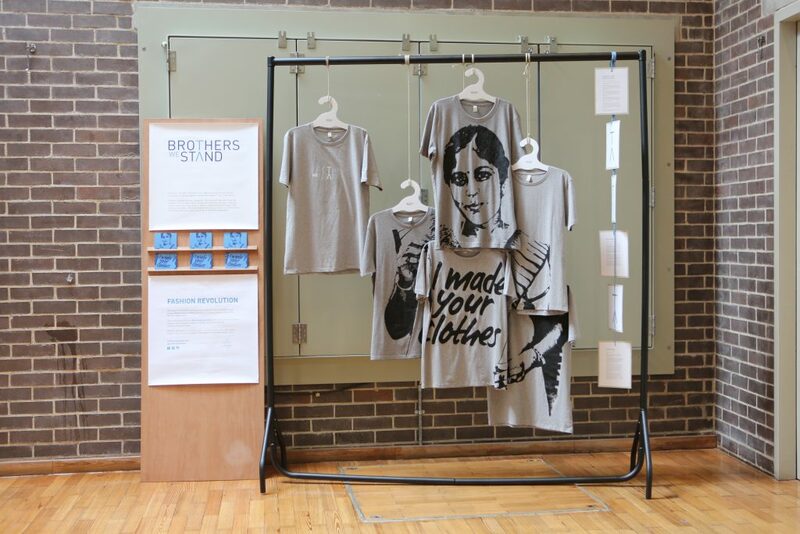 The Brothers We Stand installation provides the ethical clothing brand’s answer to the question, “Who made my clothes?”. This question has been at the centre of the global Fashion Revolution campaign, which now has an active presence in over 100 countries. In 2017, over 100,000 people used social media to ask the brands they wear, “#whomademyclothes?”. Brothers We Stand is an ethical men’s clothing retailer providing an alternative for the man dissatisfied with fast fashion and its questionable practices. The site aims to give men easy access to a wardrobe of stylish and sustainably produced clothes. Each season, Brothers We Stand creates edits of their favourite ethical menswear from a range of designers and labels. Brothers We Stand has strict criteria and principles on which they base their product selection. These are rooted in three primary areas – design, quality and stand-out ethics. To get into their collection, products must have a positive social or environmental impact that sets them apart from the mainstream. This could be that a t-shirt is made in a wind-powered factory with a carbon footprint 90% lower than that of a conventional t-shirt, or it could be that a sweatshirt is made from a blend of recycled cotton and recycled plastic bottles. You can read more about the BWS Standard here. This entry was posted in FASHION, NEWS and tagged Amnesty International, Brothers We Stand. Bookmark the permalink.